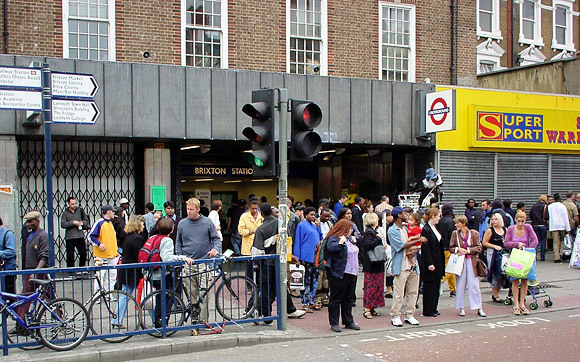 It may look rather swishy now, but before being subjected to one of the longest running redevelopment schemes known to mankind, Brixton tube station used to be a really tatty affair. Although it had only opened 29 years earlier, the station had grown steadily scruffier over the years, and by the turn of the century was a grim place to tarry. 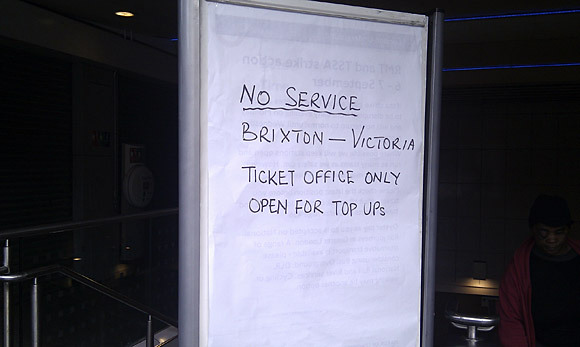 Regularly manned by over-eager Travelcard hustlers, Special Brew cheerleaders, aggressive beggars, shouty oddballs and pugnacious brawlers headed for the last chance saloon, a high speed exit was generally the best policy when leaving the station. 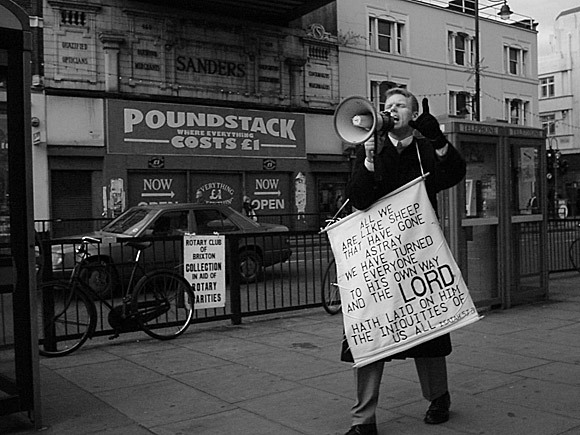 Even when you were clear of the station, there was inevitably some bellowing religious types to contend with, including the notorious Brixton Evangelist. 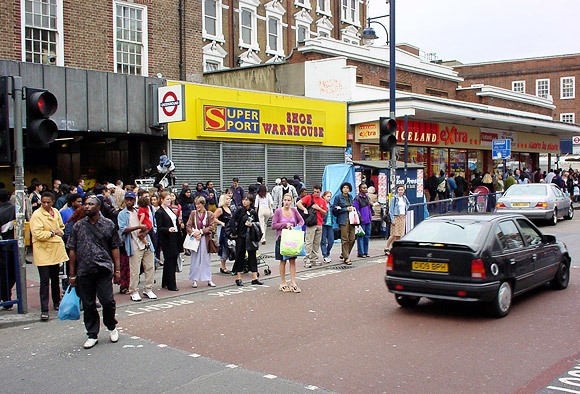 Back in 1998, the tube station entrance presented a nondescript façade, wedged in-between the long forgotten Super Sport shoe warehouse and a 7 Eleven convenience store. 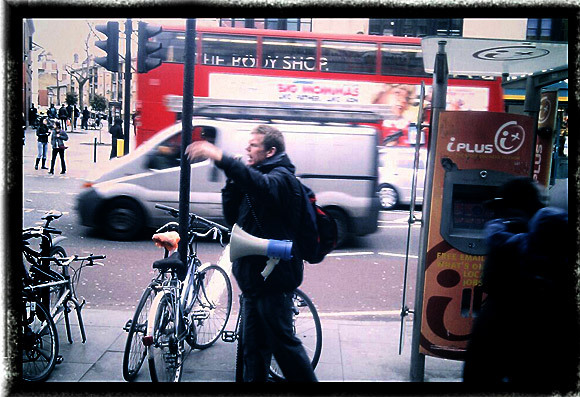 The 7 Eleven enjoyed a fair bit of overspill from the tube station lurkers, with all sorts of minor incidents kicking off inside. It must have been a dreadful place to work. One night, we followed a long trail of splattered blood that got thicker and thicker as we neared the station, with the red ribbon leading directly to the entrance of the 7 Eleven. It turned out that some chemically enhanced guy was unable to purchase a roasted chicken at the price he decided it was worth, so he smashed his fist straight through the heated glass display to grab it anyway, managing to sever an artery in his wrist in the process. Eeeugh. By 2000, a large redevelopment had seen the 7 Eleven store swept away, although the Shoe warehouse was still hanging in there. It’s now been replaced by a (sigh) Starbucks. 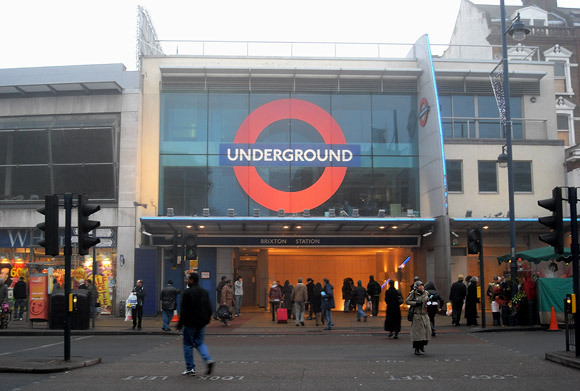 The station signage remained minimal throughout, so it was not usual to meet people asking where the chuffing heck the tube station was. 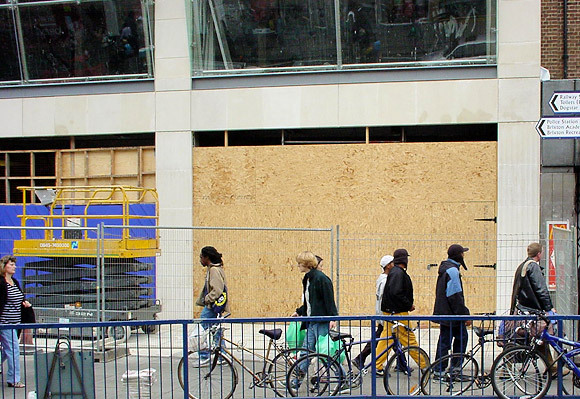 Work progressing on the new WH Smith and Sainsburys stores in Brixton, September 2000. A Claire’s Accessory store originally opened up underneath the bridge, but that was later replaced by a mobile phone shop. 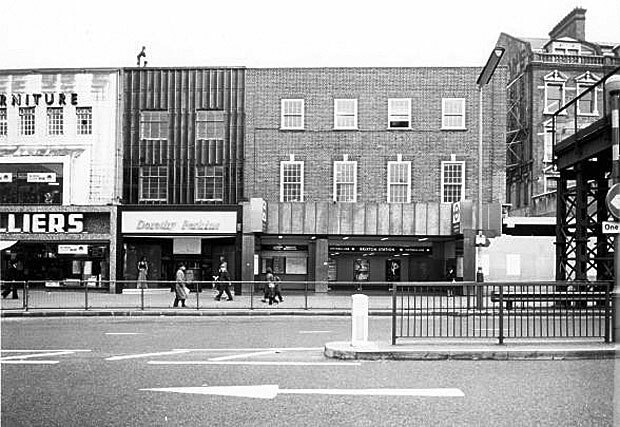 I’m not sure what cunning plans were originally afoot for the large glass-fronted area above, but they’ve never amounted to anything, with the space unattractively used to pile up shop stock. 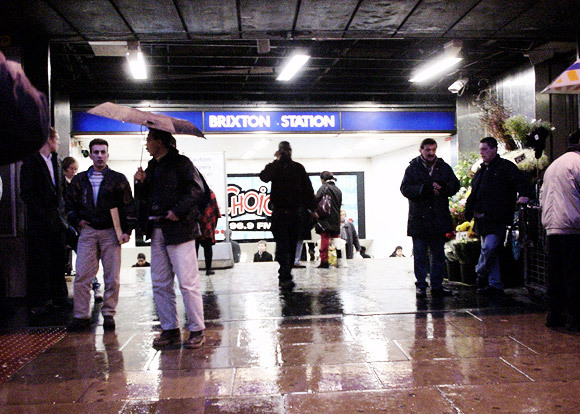 The redeveloped Brixton tube station entrance, seen on a chilly December day in 2007. 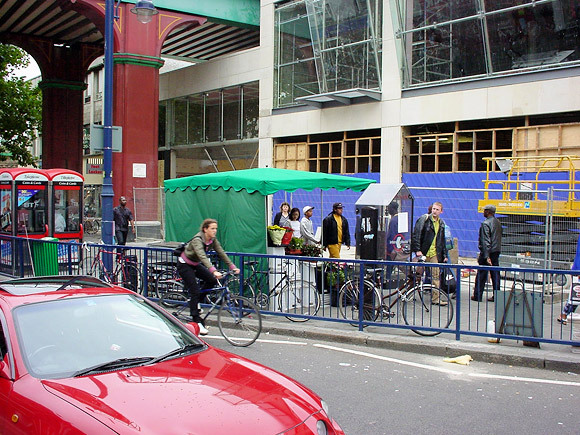 To the left of the tube entrance (above), you can see blue boards still covering up what was once a short arcade leading to Electric Lane. Brixton tube seen on a snowy morning in December last year. 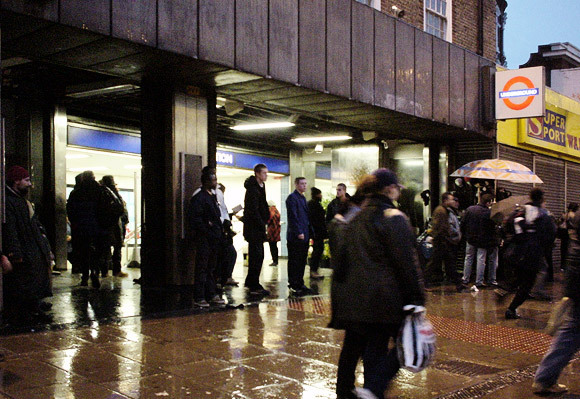 Even after the redevelopment, many of the ne’er do wells continued to linger around the station, so in 2005, London Transport adopted the unusual measure of piping classical music around the ticket hall. 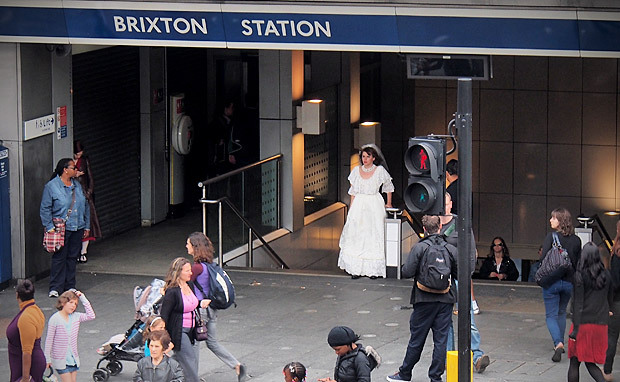 The reasoning was that dodgy types wouldn’t want to spend time hanging in a public space listening to ‘uncool’ classical music, and it was a strategy that seemed to work – the current station feels positively sanitised compared to how it used to be. 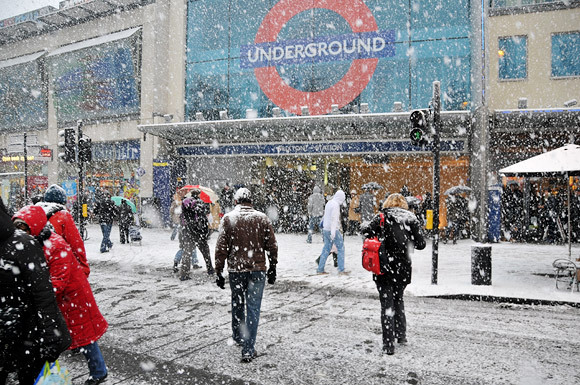 I posted the photo of the snowy scene of Brixton tube station on the memories of Brixton site and everyone fell in love with it, and some suggested it would make a wonderful Christmas card.